Elmsford, NY, August 2018—The summer is heating up, but the team at Unitex is bringing the “cool” factor to local hospitals across New York and New Jersey. Unitex Healthcare Laundry Services, the nation’s largest privately held healthcare laundry business with locations throughout the Northeast, is an advocate for giving back. In fact, the company has launched Unitex Cares, a program that focuses on giving back to local communities across the tristate area. 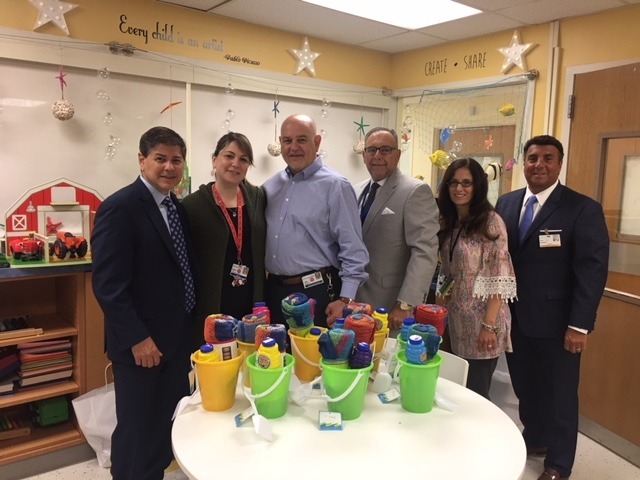 In celebration of the summer season, Unitex partnered with three local hospitals to bring fun activities and gifts to sick children and their families. The team’s first stop was the Joseph M. Sanzari Children’s Hospital at Hackensack Meridian Health where the kids made fun summertime crafts, played with bubbles and had sweet treats. Each kid was given a summertime inspired gift to enjoy. The team also visited St. Mary’s Hospital for Children in Bayside, New York. Last but not least, the team arranged a visit to St. Joseph’s Children’s Hospital in Paterson, New Jersey to deliver presents to kids and help make door signs for their rooms.